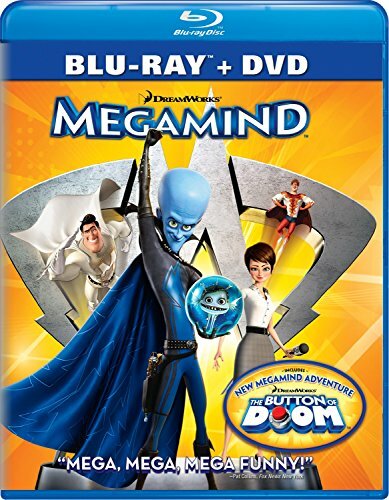 BCDB Rating: "Megamind: The Button Of Doom" has not yet received enough votes to be rated. This page has been viewed 19 times this month, and 2786 times total. Cartoon Characters: Megamind, MEGA-MEGAmind, Minion, Concerned Mother, Damien, Kevin, Nigel, Peter, Barney. Directed By Simon J. Smith. Produced By Mark Swift, Denise Cascino. Animated By Chris Bancroft, Alexander Fleisig, Tomoyuki Harashima. Written By Alan J. Schoolcraft, Brent Simons. Music: Hans Zimmer, Lorne Balfe. Editor: Michelle Belforte Hauser, Kevin Bailey. Originally Released on February 25, 2011. Released with the DVD release of MegaMind. You can watch this cartoon today on your computer. Just click below to start viewing "Megamind: The Button Of Doom" online now. Do you have anything to add to this page? 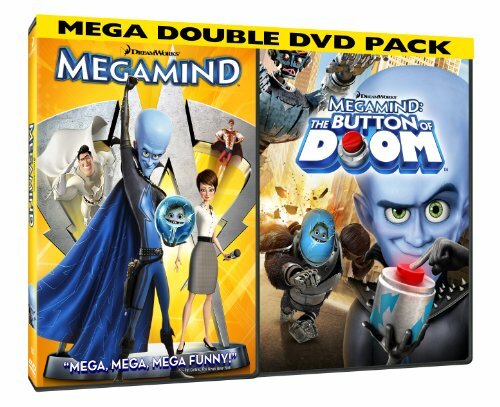 Have we made any mistakes... or do you have any additional information about Megamind: The Button Of Doom? If so, we would love to hear from you. Please send us a quick note with your additions or corrections to this page, and we will make the corrections as soon as possible! Do you love Megamind: The Button Of Doom, or do you think it is the worst cartoon ever? Let us know what you think! Surely you have an opinion... so share what you think. Take a minute and post your own comments about this cartoon here. Megamind: The Button Of Doom by Big Cartoon DataBase is licensed under a Creative Commons Attribution-NonCommercial-ShareAlike 4.0 International License.